We’re quite familiar with all the faces of Love Island after spending most nights for the past month looking at them, so viewers were quick to point out when they spotted an ‘imposter’ in the villa. 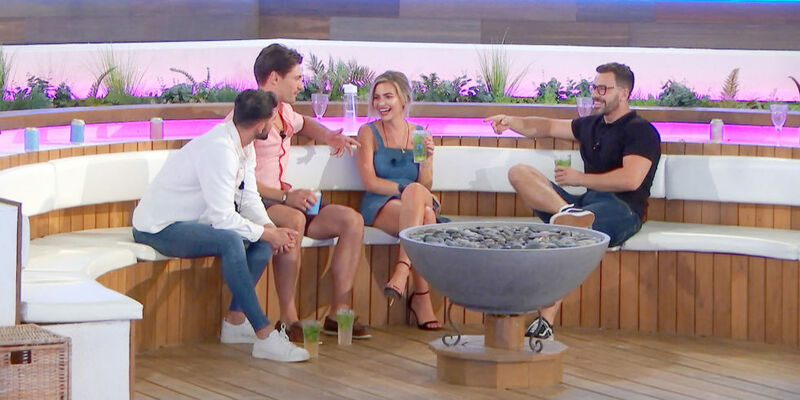 Last night’s (July 5) Love Island was full of twists and turns – as it always is. We said goodbye to Adam, Darylle, new Alex and new Ellie, watched Georgia and Wes steal other people’s partners, and saw Laura utterly fail to remain composed when hearing about Georgia and Jack’s date. On top of all this, one other thing that managed to get Love Island viewers talking was the sighting of an ‘imposter’ in the villa. The mysterious person was visible only for a second, so fast that only those who couldn’t bear to look at the well-sculpted bodies for another second and had to divert their attention elsewhere would have spotted them. The ‘imposter’ could be seen running through the villa on the top right of the screen, just as Jack’s phone went off and he called out ‘I’ve got a text!’. The unfamiliar face of a woman couldn’t possibly be one of the islanders. She was wearing too many clothes and running away from the cameras. Fans took to Twitter to share their curiosity, wondering who the mystery woman could be. She potentially could have been a member of the Love Island crew, but surely she’d know better than to charge through the set at a point that would definitely end up on TV? Whoever the mysterious woman may be, she will no doubt be forgotten about before long, as Love Island promises to get even more dramatic in tonight’s episode. That’s right. Even more drama. Who knew it was possible? The clip of tonight’s episode showed various girls from the villa turn on each other, as Megan and Laura get into each other’s betrayals, while Georgia and Ellie engage in a foul-mouthed argument about something we’ve not yet been informed of. Georgia can be heard telling Ellie to ‘f***ing pipe down’ before the other islanders intervene to seemingly stop the two girls from breaking into a physical fight. The clip has left viewers excited for tonight’s episode and desperate to find out how the arguments pan out, as well as wondering what Ellie and Georgia could be fighting about. Ellie hasn’t had too much screen time in the last couple of days – maybe she’s just been told to fill up her drama-quota and Georgia was the closest person to her. See, you’ve almost forgotten about the ‘imposter’ already, haven’t you?